Time spent in the field, behind the lens is an important aspect of DPReview camera testing. This real world shooting helps corroborate our findings in the test lab. Below is a collection of sample photos taken with the Panasonic Lumix DC-GX9. I’m seriously considering the Gx9. It would be my first m4/3 camera. I am thinking about the 20mm 1.7 or the Olympus 25mm 1.8. I know about the double crop factor and I usually find 50mm too “ tight” but I shoot mainly wildflowers, flowers, fine art , some abstract and occasional street photography. I will also eventually get into macro but I want to try the camera before I buy a macro. I know it comes with a kit lens but sometimes, kit lenses leave me wishing I had something else to show what the camera can do. I’ve looked at images on 500px and IG and sometimes the 20mm looks sharp and other times it looks very soft. Any suggestions? Thanks! I think I prefer the larger body of the GX8. I have just bought the GX9 and IMHO it's even better than the GX7...which I bought over the G7. However for various reasons my go to camera was a GF7 for its small size with the kit 12-32mm lens. Awesome for street photography as people subject's don't take the camera seriously and freak out over being photographed. Haven't used the GF7 however since I got the GX9. 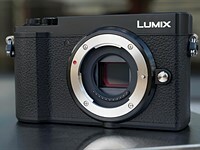 Hoping Panasonic will compress the GX9 into a GF9 version.. That's be truly awesome. I've got the GX7 and contemplating the GX9. Is the IBIS effective? That's the main reason I would get it. 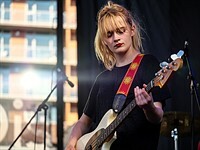 Is there much notice image quality difference in the RAW files? The recent firmware upgrade, from V. 1.1 to 1.2, seems to have rendered the GX9 IBIS almost unusable. While the sensor moves, it does not synchronize with an image, or compensate for camera movement. I discovered this problem simply by using the camera at a slow, hand held shutter speed (1/15) while using the IBIS. Before the firmware upgrade, using IBIS I was able to get sharp pictures with the 12-60mm, f3.5-56 lens at a shutter speed of 1/8, hand held. Could DPReview conduct a test to confirm? Damn, really? I’m just about to buy this but worthless IBIS might be a dealbreaker. Surely they’d fix it if indeed an update broke it? How is the IBIS now? Now, frustratingly, after updating to V. 1.3, the original problem of blurry pictures using Dual IS is back, with shutter speeds slower than 1/20th. I'm still testing but it seems Panasonic has some serious quality control issues across the board. A fair review but as usual the field sequential evf gets a negative mention and an excuse for the minority to harp on about the poor Panasonic evf units. This seems a matter of choice. I quite like field sequential and small but effective evf units. I know that a small proportion of camera users have some issue with using them but I really do think that the issue is blown out of proportion as if it was truly bad Panasonic would soon enough lose sales and stop using them. My guess is that field sequential evf equipped cameras sell like hot cakes. Myself I do not care for tilting evf but will put up with them if I have to. I believe that having both tilt evf and tilt lcd are an overkill. On the other hand I have a strong dislike for fully articulated lcd screens and happily Panasonic give us a choice here - large oled evf and FAS on the G9 - for those that truly like this and compact small field sequential evf and tilt screen on the GX9 - perfect. Compact RF style and bulky “dslr”. The review for the GX9 mentions focus stacking, does the GX8 have FS? I can't believe that at this late stage of the game, DPR can get is so wrong when it comes to their reviews. In the comparison chart between the GX8 and GX9, it shows the GX8 (which I own and bought for it's 4K capability over the excellent GX7 which I have retained) it shows the GX8 as topping out at 1080/60p! Get it right, will you! People are actually credulous at what you publish when looking at purchasing and upgrading equipment. PROOF READ at least, SHAME on you DPR! Very fair criticism. I am addressing this right now. Thank you for the comment and I apologize for the oversight. I agree you. Comparing the GX9 with the Sony A6500 DPR shows equal "AF accuracy", knowing the A6500 has hybrid phase detection sensor. And better "connectivity" when the A6500 has ext MIC input. Similar "performance" knowing the higher fps and buffer size in the Sony. What is happening in DPR? Doesn't that post style strap lug dig into the right hand? Silly place for it. @cgarrard As you're a declared Ricoh GRiii owner are you asking or trolling? Take it from a GX9 user - no, it doesn't. Really? So, if you already knew the amswer then your question is purely argumentative and, ipso facto, a troll. Used it after I commented. So now what. Your blog titled “A camera only for those of a more robust nature”. In support of Carl I note that all post type strap lugs are a nuisance whether or not they dig into the hand. Far better that the manufacturer forget about the retro look and build flush strap mounts into the body of the camera like many other camera manufacturers do. Posts are a habit that manufacturers provide “becasue that is what we do” rather than spend a little more time and effort buildng recessed elegant strap mounts into the body so they don’t protrude at all. Tom- I can't add to that. Perfectly said. As a street/travel camera, i wish it had at least a 120fps video shooting mode. After being spoiled by slo-mo shooting on smartphones, there is no turning back... so many dynamic subjects become sopellbindingly gorgeous in slo-mo. Agreed. Would seal the deal for me (as would weather sealing). I still think I’ll get it. It does everything else i want for travel and street. The designated exposure dial can be switched on or off but it is NOT customizable. That´s a pity because I prefer the rear dial for exposure compensation BY FAR. It offers five stops other than the top ones three and by pressing it one gets immediate access to exposure bracketing. Beside that it works a lot smoother and is exactly where I can reach it without contorting my thumb. As a consequence my GX9s top wheel is inoperable now but could be very useful in other functions, setting up focus bracketing e.g. Hoping for firmware upgrade again! I’ve been into photography for 12 years, and out of all the cameras I’ve purchased the GX9 is my favorite. It’s a joy to use. I love my big Nikons and they definitely still see a lot of use, but the GX9 is pretty sophisticated when it comes to menus and features. It’s a great take everywhere unit with the 20 1.7. I highly recommend it. Something isn't right about the GX9 IBIS performance. I have it side by side with the GX85 and the GX9's stabilization is almost non-existent. I've been underwhelmed with IBIS on mine too. My GX7 seems to give the same results. I'm gonna take it back to the shop and compare it with another one. Mine works better than my GX7 and, crucially, with video. You people are crazy. 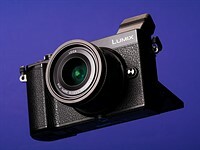 Panasonic advertises GX9 as a small street/trip camera, not a camera for video bloggers (mic input) or professional photographer who needs a comfortable grip or water sealing. I won't say a city car is useless because it's not good for racing. The EVF could be better but it's not bad. You don't spend too much time looking throught it if you shoot street or travel photos. It's even bigger than my old DSLR. It's not a camera for sports, good AF-C is not needed. But still it's not so bad. This camera is small, photos are great and very sharp, it's fast to use and AF is also fast. It's perfect for me, if you have different needs why bother? And you can't base on one revies, because they are all reviews are subjective. Comparing this Lumix GX-9 camera with the SONY similar characteristics A6500, I can´t understand why the Lumix is better in "connectivity" when the Sony has ext mic input, why the AF is equal when the SONY has PDAF with faster AF, better burst and buffer "performance". I think the scoring data table needs an update, including; AF speed, battery life and available lenses. Because the gx9 has bluetooth low energy that works and in-body charging? The SONY A6500 also has wireless NFC and USB charging; you should know! Why aren't there Body-Only options? Every other camera maker gives body only options in every country. Why no body only option, Panasonic? Maybe so you can take the lot of you don't want it? Good question. Still waiting for a true successor for the GX8. The GX9 should have all the features of the GX8 but the improved sensor, image stabilization, burst rate, UHD30 video recording and BT-LE. Is rainbow tearing just bothering or does it limit the function to evaluate the results? - colour saturation, ... etc. ? Is it true, that a sequential EVF is sharper, because every pixel can show all colours? Is that an unseen advantage? Yes - we will now get another burst of noisy sequential field (SF) nay-sayers even if various polls show that there are very few users of sequential field evf units that actually have issues with them. But a review is fair if it mentions this issue but what is wrong is how much trolling goes on as a result and how the compact, sharp, very-clear high-resolution of the SF evf units is ignored. If the SF evf was indeed a problem for users then the sales of the several Panasonic cameras that use them would plummet - but these types of evf units still sell very well even though they get a regular slap every time they are tested. One YouTube vlogger disliked the GX9’s EVF on account of the ‘tearing’ when he whip-panned. Seriously?! I’ve been using it on the GX7 and now the GX9 for 4 years with no issue. Sure, “perfection is the enemy of the merely very good” but the pros of the form factor and low-cost outweigh the GAS. Add weather sealing, drop the tilting EVF to keep cost and size down and this would be close to perfect for me. USB power would be nice too (not just charging). Specs such as dimensions are different in this comparison and when using comparison feature on the website. Impossible to make any conclusion. Is the exposure compensation dial usable in manual when using auto ISO? I thought I read so elsewhere, and the auto ISO section of the review sort of insinuates it... That would make it the first Pana body to have exp. compensation in Manual mode at all (I think? dunno about the G9/GH5, the same dial on the GX8 was useless in M). Yep. I find the EC dial very stiff (or perhaps I'm just too weak). I usually shoot in aperture priority except when working on a tripod or using strobes so I've set mine up to use the back dial for aperture and the front dial for EC with the EC dial effectively off. But yes you can set aperture and shutter speed and then use the EC dial to adjust exposure based on iso. The PEN-F was the first Oly body with a similar arrangement IIRC (I've lost hope my E-M5 II will get that via firmware update even tho it has the dials/modes for it), I'm hoping it's standard across the board from now on. It would be even better if either manufacturer included a bias setting for the 1/SS rule when shooting in A mode tho, seems like something that would go hand in hand with great IBIS so people can better leverage it without having to go full manual. I'm with Jeff, it isn't even the price itself but the other options available at or under a grand... The G85 and E-M5 II both have better EVF, weather sealing, and more inputs... Granted the former is larger, the latter is crappy at C-AF and doesn't shoot 4K (tho it's price has dropped), and both have 16MP sensors (but the bump from the 20MP is pretty mild). The GX85 & E-M10 II are also satisfying to use and several hundred cheaper by now... The GX85 even at it's original price felt like a perfect compromise and the EVF didn't feel like such a cut corner. For a couple more hundred at launch we now get BT LE, the EVF tilt, and the new sensor... Just doesn't seem like enough. Sealing and/or a better EVF would've been huge. The always-on Bluetooth to phone is bigtime. Is there automatic transfer available as well? Hello, I have a question - gx85 had this weird issue of fronting focusing when there is a source of strong light around the target, which has ruined countless number of shots during the day for me. I wonder if that has been resolved? Focus is dead on every time for me even with strong backlighting. Never had an issue with front focusing. "The combo of nice JPEGs, a unique tilting EVF, good AF performance, simple connectivity and a responsive touchscreen make it a strong option for enthusiasts. " As lately as the GX8 had a fantastic, big, high-resolution, and bright tilting EVF, so how can the GX9 be unique?! Olympus's VF-3 and VF-4 viewfinders also tilt. Also, the GX8 isn't dead. Someone needs to take the poor lonely GX8's off Panasonic's hands. Tom Caldwell, I might, I might, as the wife's GX8 is great, not least with the PL 100-400, at lower focal lengths, while in the long end my wife gets much better results using it with her E-M10 II! Does it have a time limit on Video recording? The extremely poor EVF kills this camera. One look through that thing and I sent it right back to B&H. As did I, then got a GX8, a better camera. Yes, it is true. I have send it back too. I am a GX8 owner and that EVF is so much better. Because I like to own 2 camera's I am looking for a secendhand GX8. I think this is one of the most underrated camera of the last years. Still waiting for a worthy GM5 successor. Oh well. I love how this site let's you "jump to conclusions"
Looks like an awesome all around camera that goes anywhere. I look at the samples between this camera and the Olympus cameras and I notice just how much sharper the Panasonic. In fact, it looks great! The Em1-II however just looks blurry and defocused. I downloaded the images and see that you are using a $250 lens on the Olympus and a $1400 Nocticron 1.2 lens for the Panasonic. Don't these use the same mounts? Why not use the same lens so we can truly compare cameras? The Nocticron is expensive and it's good. I would at least use the Olympus 45 1.2 to get some where close in price (even though it's still $200 less. There is no doubt the 45 1.8 is a good lens for the value, but nowhere compares to a lens of much higher value. Using a lens that is more than 500% higher in cost for one camera vs the other seems to really skew your results against one camera. I therefore request that DPReview address the issue using the high quality lens of similar or equal value for proper comparison on all m43 lens mounts. I would be happy if all the lab shots were sharp which they are not (compare e.g. the E-M5 and E-M10 MkII). As for the galleries, I suspect that they use what they have at the moment. In any case, a 45 1.8 should be able to produce very sharp results, maybe the problem lies elsewhere. I'm specifically referring to the studio comparison too. I know the 45 1.8 is a good lens for the money but doesn't compare to the 1.2 or the Nocticron in sharpness and detail. Since it is a studio comparison of cameras then the same lens should be used when possible and since they both have the same mount then it would be no problem and should be used to maintain integrity of the comparison. IMO... The studio scene shouldn't be used to compare sharpness except for fixed lens cameras. For interchangeable lens cameras it should be used mainly for comparing color and noise at various ISO's. The lens variations make it difficult to even compare sensor performance for moire artifacts and whatnot, though I think dpreview tries to use the sharpest lenses available at the time for any given mount. I agree with almost all the above observations. I have also noticed that DPREVIEW has gone backwards in their quality of reviews. Sad. Tney used to be the leader in detailed reviews when they first started, so good that many camera users would print a hard copy to supplement their camera manual. Not now aymore. They should seriously improve and go back to what they were so good at when they started. The 45/1.8 should be plenty sharp in the center if it's properly focused, but it has a noticeable degree of field curvature so no matter how well it's focused the edge results are always gonna be inconsistent... Stopping down should alleviate that but probably doesn't address it entirely. I just wish they'd be consistent, not go back and forth between it and the Nocti, which they've done. It's not like they're known for timely reviews as of late, how hard is it to wait until the Nocti is available to run a new M4/3 body thru testing? Wow good catch! Lens variation make the DPReview studio test almost useless, especially for "pixel peeping". While they have some justification between Nikon/Sony/Canon (preference for native over adapted with limited native selections) for M43 how the heck can they justify not using the same lens across platforms? Comparing my 4 years old and 24 Mp APS-C SONY A6000 with this new 20 Mp m4/3" GX9 from Pana, I can say that the ISO results are very similar, just a little bit more sharpness for the SONY at low ISO. But the AF speed in the AF-C mode in photo and video and the distracting "hunting" in the viewfinder and video, as the burst rate, are disappointing. It adds IBIS, touch screen and 4K, and could be compared to the A6500, but the main advantage of the GX9 vs. the APS-C systems as SONY is the availability of compact and lower cost tele zoom lenses (1/2 crop factor). But not the body syze, autonomy or cost. Olympus, EM1 and EM1.2 both have on sensor PDAF and in the case of the latter, I prefer it’s AF to my A6300. My brother has the EM1 and he told me that the PDAF is only used with old 4/3 lenses. And the AF-C speed in fast moving objects (sport) and video is more slow than my A6000 with the configurable AF. Perhaps in AF-S mode with static objects and low light the EM1 could gain in AF precision. No experience with the EM1, only quoted the specs. But the EM1.2 AF is excellent and latest FW improved it further. It’s C-AF and C-AF+tracking are better than my GX9 as well as my A6300... as it should be given its cost! After watching the Youtube video test, the EM1.2 AF don´t look good. Perhaps the EM1 II firmware 2.0 fixes the autofocus issues? Really disappointed by this review. You guys have got to be more systematic and scientific in the way you do things. In particular, I think your section on autofocus misses the mark terribly. Panasonic cameras have world class S-AF in terms of speed and accuracy. They can also basically see in the dark. Continuous AF is just about useable, but if that is your priority, choose another system. This coupled with micro 4/3's lightning fast lens motors means as soon as you hit the screen or shutter button, focus is acquired and the shutter released. My gx85 absolutely destroys my d750 in this regard - your random tests of face tracking in a dim environment are at best a distraction. For social situations and street shooting there is system that matches Panasonic - discreet, super accurate and lightning fast. Totally agree. It's disappointing, and it's about 6 months late. I do like the extensive review, but I agree totally that the autofocus section is way to focused on AF-C/tracking. I’m looking at other cameras too, such as the Canon M50 and it is unclear to me how well these cameras do in AF-S / AF-S in low light. For the GX9 I know the answer because I own the GX80, but for the Canon the focus is also too much on tracking. That is just a few percent of my shots, I’m much more keen on Af-S speed and accuracy. Hi ChrisFB: I have the m100 and 22mm lens as well as a gx80. I really like the Canon too - really compact with great touch screen implementation (still trails Panasonic though for me). I use it for home video on a gimbal and my wife uses as a point and shoot. The video tracking is a revelation compared to Panny's and I think the IQ is a bit better too. However, S-AF is way worse than the gx80 - particularly in poor light. Lens selection is woeful. Would never trade my micro 4/3 kit for Canon mirrorless, but as with all Canon's stuff, the overall experience exceeds the feature list. I thought the overall review is good, but you do call out a key omission with the AF-S speed of these DFD Panasonics. I own a GX85 and moved to it from a Nikon D5100 and Nikon J5 which both have PDAF, the latter on sensor with a hybrid contrast setup. I considered both to be very fast. But I was shocked when evaluating the GX85 how fast and accurately it's able to focus in lower light and lower contrast conditions. It exceeded my two Nikons in speed and accuracy, especially in auto modes. I also compared the GX85 to a Fujifilm XT-20 before deciding on the GX85. I found the GX85 focused more quickly and its face detection is superior. I don't doubt that the Sony models are better when there's good light and AF-C at high frame rates is required. But I think many photographers would be shocked by how good the Panasonic contrast detection based system works in practice. Thanks Sion H! You confirmed what I already suspected. Guess I'll have to figure out if I can live with the low light AF performance (/frustration) of the Canon. Yes, very true. DPREVIEW has somehow become very slow in reviewing camera nowadays. Is it because they lack expertise now ? The founder of this site was very good and thorough. It's a joke to call this a review at all. Looks more like a promotional piece to me. In the Video review section, under Key takeaways, the 4th and 5th points are contradictory. It is not. Clearly a difference between mechanical and digital IS. We know that Panasonic uses two kinds of stabilizer: in-body and in-lens. Are both of these mechanical IS? I believe lens IS is mechanical, while in-body is electronic. If both are mechanical, then the "digital IS" is a THIRD kind of image stabilization. This is not correct. Panasonic had: 1. in-boby stabilization, with no crop. 2. in-lens stabilization, which is lens dependent, and becomes dual-IS when paired with in-body stabilization. 3. electronic stabilization, which can be activated in addition to the IBIS for even smoother video but at the expense of 1.1 crop. No, Panasonic only claims dual-IS, not triple IS. It is called "E-Stabilization (Video)" in the menu, which can be set to ON or OFF even when Dual I.S. is activated. I will check out this feature for its effectiveness. Thanks. Wonder why Panasonic doesn't advertise this additional image stabilization capability. if not for good IS , 24MP APS-C dirt cheap, why use MFT? My understanding is IS not as good as Olympus 5 axis, so why bother? Because the IS is still pretty good. Because it's using the 20 MP sensor. Because its usability is better than current Olympus, and operates faster than PenF. Well like I said, it's pretty good. Some would call it also excellent. Why else use M43rsd? Size of the system with the lens. IS is not the end all be all- you can't freeze moving subjects for example. Loads of other reasons to use M4/3 IMO, I use/chose an E-M5 II in large part for it's class leading IBIS (and the fact that the GX8's IBIS didn't work for video) but I also use a GX850 completely devoid of IBIS... For social situations where I use it most it doesn't make that much of a difference, the small size and tilt screen + lens selection does tho (and yes, the S-AF in low light and even the face/eye detect which has lapped Oly's IMO who originally introduced the feature, Pana didn't even have eye detect until the GM5). how is E-M5 ii AF in real use? I bought it a couple years ago now, but I still like it and I think it's held up well... It's biggest weakness was always C-AF, pretty much any Pana body is better in that regard. It's IBIS is still top notch IMO, high res is situationally useful, and the 16MP Sony sensor was a lot better for long exposures than the Pana one (look at the bulb time limits on last gen Pana bodies). The Oly UI is less friendly than the Pana one but it wasn't a showstopper for me. I cross shopped it vs the GX8 at the time since the GX85 & G85 weren't out, and lack of EFC and IBIS for video on the GX8 were big turn offs... Newer models addressed that but none is as small as the E-M5 II while also being weather sealed, which was part of the appeal for me. so u mean S-AF for landscape even in low light not a problem? I think Pana still has slightly better AF in really low light, but it's never bothered me for something like landscapes... Shooting in close quarters in dim light I might've noticed it a bit more, possibly because I'm also rushing more in those circumstances (and also often using the 20/1.7 which requires a little care in not letting it hunt, cause then all bets are off heh). @Jefftan - you are splitting hairs here. The GX9 will be better than the EM5 MKII in general because of the new sensor is actually better, not just in resolution. And the AF and operation speed of the GX9 is better. I would pick the EM5 MKII over the GX9 only if I needed weather sealing or only if I was really using the super high resolution mode which works for *some* landscapes and can work great for on-the go mini product shooting. You can still shoot pretty low light landscapes with a GX9. But if you are shooting landscapes anyway, you should be using a tripod. It seems to me you are going by a paper spec promise on either camera and not for a real world shooting workflow. You will be dissapointed with either. The E-M5 II should be cheaper and would have a much better EVF too, no tilt on it obviously tho... Tilt screen vs fully articulated as well, which is a subjective preference... I've never found operational speed on the E-M5 II to be an issue, it was one of the first bodies to really leverage UHS-II cards for one (several models before Pana took advantage of them for anything but video). I do agree there's a lot of subtle differences that don't show on the basic spec sheet. Pana's time lapse functionality is still the best by far, Oly's Live Time/Composite modes are still very unique (and then there's the HR mode). The mechanical shutter on the E-M5 II also goes up to 1/8000 which might be useful to some. It's hard to ignore the big advantage Pana's midrange bodies have in C-AF and video tho, Oly's low end has fallen way behind in C-AF. Oly's menus are definitely confusing at first too, the labeling and organization just isn't great or as intuitive IMO but you do get used to it and it does offer a bit higher degree of customization. OTOH the GX9 is one of the first Pana bodies to offer exposure compensation in Manual mode via the dedicated dial (when using auto ISO obvs), the PEN-F was the first Oly body to have this (not sure if the GX9 was the first Pana one or not). I kinda wish my E-M5 II had gotten that via firmware update but it seems unlikely at this point (would be easy to manage with the 2x2 switch). If you've been shooting M4/3 for a while you might have a strong opinion or some on many of these subtleties, and that will dictate your preference. If both were priced at a grand I'd still say the GX9 is the better overall value for the average/new user, but AFAIK the E-M5 II has been priced down and weather sealing is a sticking point for some. Had Pana put sealing on the GX9 I think the $1K price point would be better justified relative to the GX85/G85/etc. @Jefftan I concur with @Raist3d and that you’re running the risk of disappointment with any camera if you’re banking on nailing detailed lowlight landscapes handheld. For your other shots, that don’t demand a tripod, plenty of recent reviews refute any disparity now in IBIS between Oly and Lumix and, for longer focal lengths, OIS lenses of Lumix have even been preferred over IBIS of either for certain shots. The unique feature set of the GX7/9 isn’t only the built-in tilting EVF but that it’s in concert with the discreet form of their stabilized small body+lens+shutter (hence the fail in the GX8/85). This benefit for candid portraiture of this simple but oh-so-effective feature set cannot be appropriately understood without witnessing it 1st hand. For instance:, the facial expression on certain subjects (eg. a child/stranger) can be affected as much by the (intimidation of the) person behind the camera looking at them as it can the size of the camera (as any documentary filmmaker will attest). Aside from its doubly quick deployment, the tilt screen has it over the swivel screen because it avoids enlarging the silhouette of the camera. For those times when the screen can’t cut it, enter the GX7/9’s 90 degree EVF. The mere act of not looking directly at the subject but looking towards the ground is as unequivocally effective as it is simple. On a purely physiological level, I’m yet to see any weatherised-obsessed photographer lie down in wet grass to get the low-angle shot through fixed VFs. But I’ve knelt down plenty in it and remained comfortable getting the perfect angle thanks to the GX7/9. The E-M5ii is an awesome camera which I’ve come close to buying myself but, as I take far more candid portraits than landscapes, star-scapes, or high-res product-scapes, I can’t now live without both the tilt EVF+screen. But aren’t we fortunate to even be having these conversations? I think the review conclusion nails what the GX9 as a product is pretty well. I think some emphasis need to be put again on size, size of system + lenses because that's what makes it compelling. AF results shooting slow bicycle is really BAD and POOR, as does the low light focusing. It is TIME for Panasonic to add a PDAF to its AF. Panasonic was ahead of competition, but both Sony (with PDAF) and Canon (with Dual CMOS AF) now AF tracks better than a CDAF-only Panasonic. It is time to improve the AF. You do realize that Panasonic has camera models with improved AF right now, out there, without PDAF right? The GH5/G9 use the DFD version 2.0 system. Pdaf is lame. Would rather have dual pixel af added. Sony a6300: ...but the GX9 handles better..."
How? The grip is nearly non-existent, making the camera feel very insecure when using one handed. Getting close to as bad as a bare RX100. I've got the GX85 (99% same body) and had to buy the GX9's grip (pretty telling that there even is one) to make it feel as secure as holding my A6300 without anything added. The rest of the GX9's body is generally the same rangefinder style, and the control layout is the same, except the AF switch vs AEL switch, and rear dial positioning. Beyond the grip (heavily in the A6300's favor), they're ergonomically the same. I would say the GX9 handles better than the Sony in the touch screen, responsiveness of UI, ease of use interface. Definitively. But I will give the Sony has a better grip. Not a fan of cheek activation touchscreen mode. ;) Yes, the UI is quicker to respond when the camera is writing/changing modes, though the menus have just as many pages, if not more than Sony, to dig through. Just wish the buttons and dials were more customizable like Sony. Sony has 8 + 1 (lens mounted) custom buttons, while the GX85 only has 4, and the GX9 only 3(?!). They might also be talking about the existence of the front dial (and EC dial) on the GX9, which matches closer to conventional camera controls. The a6300 appears to have the 2nd dial on the directional pad, which fewer people like. The GX9 while similar to GX85 does seem to have a bit of a change in the body. It's a bit taller and on the thumb area they made a raised part that probably helps with the grip a bit. I do agree though the grip is the weakest part of the GX85. The menus are better organized, and much easier to navigate with the touch screen. Anyway, I also like the Sony but wish that Sony created a set of small good lenses for the E-system. And give the darn option for lossless raw. They stressed the usability of Touch AF, even if you're not a fan you shouldn't knock it unless you've tried it, genuinely useful to many... Pana's UI and touch interface has a lot of little touches I still appreciate over my more otherwise more customizable Oly body, but which you can still turn off entirely if you hate them. Being able to resize and drag the histogram anywhere on the screen is pretty nice for one. @BlueBomberTurbo “Cheek activation” is now a n issue of the past thanks to the GX9’s ‘Operation Lock’ option which can be assigned to a function button. Like it or don't .. buy it or don't.. Some of you guys need to get a life..
You don't seem to understand how this all works, do you? I guess I don't . Much rather be working and creating than complaining over something I can not control or change..
Chill. He's in a way validating what you said with a joke. Didn't realize it lacked microphone input - would be fun to place microphone closer to the hummingbird feeder. For most people, I think GF10 is better value. I thought the Japanese-market name for the GX85, the GX7 mk II, made more sense, and if they'd used that naming internationally and called the GX9 the GX7 mk III I suspect everyone would be happy even if the feature set isn't quite as consistent over the three as one might hope for. Panasonic's naming "system" needs to die ASAP. Companies in general are pretty bad at naming cameras, but Panasonic takes the cake. If Panasonic wanted to confuse their customers, then they have done an excellent job of it. For the money, the GX9 really should've had weather sealing IMO, specially if they were sticking with that crummy EVF. The GX9 is a bargain if you want that 12-60mm lens too. Because that is a $500 lens by itself. But if you don't want it then it seems way to expensive. Panasonic would probably sell more GX9s if they offered them for $999 with lens, and for $649 without. But maybe they really want to move the lenses for some reason. If reviewers did their jobs better it might help: there are NO 16:9 stills. There are no 35mm format (3:2) stills either, and as a street photographer who personally prefers the dynamics these shapes consider and which 4:3 cannot, we need to compare these formats against samples from recent a6xxx series cameras and other 4:3 cameras where such samples are provided, as the reduction in file size also contributes significantly to noise due to the higher magnification needed to view them at the same scale equally. Got that? Ta!! My GX85 has options for 4:3, 3:2, 16:9, and 1:1. The metadata tells ACR how to crop the images when opened. Doubt Panasonic would have taken those options out for a modest refresh. @Decooler - eh. Some photographers prefer the 4:3 ratio. So what? I mean, you could say that as a cons to any camera that doesn't do your preferred format. You can also indeed set the camera to the other ratios in JPEG at least. My Panasonic LX2 had a unique sensor. The only camera to have a sensor sized for a 16:9 aspect ratio. If you wanted 4:3, you got a crop! "Apart from the LX1 that preceded it... ;-)"
No, the LX3 had a conventional larger “multi-aspect” sensor with constant diagonal FoV for 16:9, 3:2 and 4:3. The LX1/2 had a native 16-9 sensor, simply cropped to give the other aspect ratios. Panasonic's problem is. Not everyone wants a Camera that's Video First, Stills second. The GX series extended from the GF series and that was a Rangefinder styled, Stills focused camera. The GX8 was in my opinion, a horrible ideal to bridge Video and stills. They had the GH and the G series... Everything doesnt need a fully articulated screen and most Hybrid shooters prefer DSLR shaped bodies. Fujifilm does a good job by providing cameras devoted to its user. You have the X-T, X-H for DSLR/Video/Stills user and the X-Pro, X100, X-E bodies for the Range Finder looks/Stills/video user. The GX8 was an easy pass, because the articulated screen would be awkward for street photography and the size was much larger than my GX7. But isn't the GX9 exactly what you are saying they should do? Just to make sure I got this right. The Panasonic G9 is exactly that: stills first, video 2nd, both excellent. Sorry Rick, I dont see a camera with a Video friendly Swivel screen as a stills-first camera. Marketing will have you want to believe that, but seeing an articulated screen is the kiss of death to me. As well as many stills photographers. That's a matter of preference. Lots of stills cameras have an articulated screen. Some people prefer them, others prefer the flippy ones. The debate rages on, but I don't think that whether it's primarily a stills camera or not is determined solely by the style of the monitor. The GH5 and the G9 are both hybrid cameras, it's true, as are most cameras these days from any manufacturer. But it's quite clear that whereas the GH5 (and even more so the GH5s) are primarily video cameras, the G9 is primarily intended for stills. Which isn't to say that you can't make excellent stills with a GH5 or excellent video with a G9. Many stills cameras actually have a fixed screen that doesn't flip out or angle up or down. Both articulated and flip up and down screens can of course be used like that if you prefer, stuck to the back of the camera. But both can be more useful than that in many situations. As I say, it is simply a matter of preference. @MrALLCAPS - what? *I WANT* a tilt-screen for street photography. Tilt, not fully articulated, shows a stills oriented priority. You don't even have to move the LCD and there's no way to rotate/turn like a full tilt (say PenF). I am not sure I understand, tilt-screen only is precisely for stills! What I'm saying is, the G9 with its fully articulated screen isnt Stills focused in my opinion. For example, if I'm on the streets and want to discreetly take a low or high level shot, having a fully articulated screen makes this difficult, as you have to flip it out, with this object jutting out from the camera. With a tilt screen, it's much more discreet, as the screen stays behind the camera. The Nikon D850 is a great example of what the G9 should've been for MFT users. I think Panasonic's naming nomenclature killed this camera. For people wanting and expecting a true GX8 successor, it's a big fail. No environmental sealing, no audio input and output jacks, no fully articulated LCD, an EVF that takes a step back. It also hits the market at a lower price than the GX8 at introduction. Folks forget that many complained that the GX8 was too big, didn't have a flip LCD, and basically was not a true successor to the GX7. Evaluated for what it is, it's a dang good camera. I do little video, and no serious video. I wanted a relatively small, light body for street, travel, and as a a daily companion. And the GX9 fills that role really well. But, it's a camera that makes compromises and it's simply not the right tool for many jobs. Agreed, as a GX90 it would have seemed a nice step up but somehow calling it a GX9 just leaves a bad taste in the mouth. 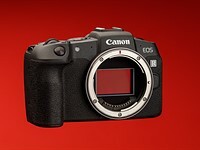 It would be like Canon adding 4K video to the 6D2 and calling it a 5D MKV. The difference being that the 5D series is already established at certain point in the market. That's not the case here. The GX9 is entirely consistent with the GX7. It's the GX8 that was the anomaly, not this newer model. 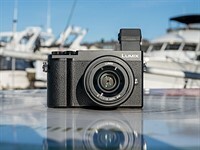 Panasonic clearly felt the GX7 audience was actually two audiences: a price-sensitive crowd who wanted a smaller camera (GX80/85) and a group that wanted a larger, no expense spared flagship model (GX8). For whatever reason (low sales or competition with the G9-level model) they've decided that isn't the case, and have reverted to the previous strategy. This happens every few years (Canon going to a smaller, plastic body with the EOS 60D to make room for the 7D. Nikon abandoning the D300S part of the market, and leaving the D7x00 series at the top of its APS-C line for many years). Newer cameras don't always offer a clear upgrade over their immediate predecessors. It seems most people don't get this. "The GX9 is entirely consistent with the GX7. It's the GX8 that was the anomaly, not this newer model." Absolutely correct, GX8 was THE ANOMALY. These arguments would be much more convincing had there been a similar GX6, GX5, etc; the GX1 was something completely different. Can't really agree about the 5D either as the 5D and 5D2 established the line as a high quality sensor inside of a (relatively) cheap body. The 5D3 significantly increased the build quality of the 5D line just like the GX8 compared to the GX7. Similarly Canon introduced the 6D line to continue the high quality sensor inside of a cheap body option, just like Panasonic introduced the GX80/85. "This happens every few years (Canon going to a smaller, plastic body with the EOS 60D to make room for the 7D." Indeed, this is pretty close to the same and I remember people being similarly annoyed about it at the time. "Nikon abandoning the D300S part of the market, and leaving the D7x00 series at the top of its APS-C line for many years." If Nikon had released a D7x00 body but called it the D400 then this would be a more accurate example. I think the Japanese market naming scheme tells it all. GX7 Mk I, Mk II, Mk III, and GX8... making it clear that the GX8 is a different type of camera. For some bizarre reason Panasonic chose to confuse everyone else by naming the same cameras GX7, GX80/GX85, GX9 and GX8. My guess is that the naming was chosen by a marketing manager, and not by an engineer or designer. GX95 would've made more sense in the US, but it would just delay the inevitable anyway, the GX8 fans would still be disappointed in the long run without a successor... And the GX85 is still a far better value for the money regardless, the GX9 needed a little something extra to warrant the price IMO. Pana's 16MP sensors struggled with long exposures, Sony's 16/20MP sensor doesn't, just look at the bulb mode time cap difference between them. Colours, detail and high ISO significantly improved over the GX85. However, colour and detail are still not as nice as the G9, which is spectacular in these tests (I'm assuming the tests are adequately controlled). Great improvement in 1080p video sharpness over the GX85, which makes it a tempting upgrade. Almost no need for 4K. Soft 1080p is my main complaint about the GX85, as well as dull colour. Pity they have used the same EVF. It could have been a complete package worthy of upgrading if they had improved the EVF. Wait, why does the GX85 look better at high ISO than the GX9 in the studio scene, and less than 1/3 stop off the G9? Bluebomber, GX9's high ISO is better. I've looked at that studio scene. I suggest you look again. The GX-85 has a 16 Mp sensor, versus de 20 Mp of the GX-9. It would not be strange to find the high ISO noise lower in the GX-85, isn´t it? If you haven't figured it out by now, but every manufacturer leaves out features and purposely handicaps many of its cameras so that consumers continue to clamour for more. A better EVF, weather sealing and microphone jack would have made this almost perfect, but you'll never get such things all in one camera. They simply want you to keep upgrading to the next camera. It's all marketing and never engineering that makes these decisions. "Product development isn’t about virtuous engineers who create lovely things and evil marketing people who take them away. It’s usually a back-and-forth to create models that suit a specific audience without overwhelming them with tools and features they don’t necessarily want or producing cameras they can’t afford." well, the "can't afford" bit puts the marketing back in the discussion, doesn't it? Weather sealing wouldn't cost much for instance, especially if you consider that Panasonic re-released a few lenses with weather sealing and they're not costing that much, as in not targeting the semi-pros. That being said, I think people got it wrong because of the naming. I guess Panasonic can't afford to have two flagship cameras for stills, that's just it. I think it is good that Panasonic is making cameras that are not best everywhere but present a good value. I'm a skeptic in that regard. Perhaps competition with the G9 is the main issue. I'm not working in the industry, but I've seen this again and again in so many instances and yes I do believe that's what they teach marketing students. But similarly, do you risk not making a competitive product now (when one of your rivals does), just in the hope of selling more cameras to the same people? Yes, you want to make sure that those people who want the best features buy your most expensive camera (that's just capitalism, I'm afraid), but do you hold back something today and risk a would-be customer becoming committed to another system? @Richard, larkhon - I think the issue here is that people want something for nothing. "Weather sealing wouldn't cost much" - larkhon- how do you know? OLED EVF, bigger EVF, weather sealing, keep adding up and you move into PenF territory. I actually wouldn't mind if it was at that level if it was weather sealed myself, but I can see how it's appealing for Panasonic to purse *with a decent kit lens* (USA) a pricing < $1,000 USD. I wish good luck to Panasonic with their marketing efforts. I wanted an upgrade to my GX80, but if I need to buy a G9 to get a mic jack, then screw that. They successfully pushed me not to their next model, but to the A7 III. Raist3d: My issue with it is that they ALREADY pushed the price to PEN-F territory, it's $999, just $100 less than the PEN-F... Granted that's with and without kit lens but you can find split kit lenses for $100 so the difference in price is exactly that to the average savvy buyer. I think the PEN-F should've had sealing too FWIW (considering the cheaper E-M5 II had it). @Raist3d: they offered weather sealing on the G80/G85, which was about the same price as GX9. Also, they put weather sealing on lenses like the 45-200mm II, which is not expensive/pro so it's kind of hard to understand why you need a flagship camera to use this lens. And that's the thing, almost every camera maker is keeping their weather sealing for their top cameras. As others have pointed out, the Pen-F at its price tag should have had weather sealing, do you think that at $1000 it's only a cost issue? Aside for the dismal EVF its major problem is pricing. It is Pen F's price range which is already a tough call. The Pen F body originally launched at $1199 USD. Down to $999 at the moment. It's not the same price range of the PenF. The $999 price right now is without a lens for the PenF. I doubt a lot of people pay $500 for the 12-60, specially considering how many split kit ones must be floating around... But I don't think the PEN-F is a particularly great value either, the GX85, G85, and E-M10 are what make the GX9 look like a poor value by comparison. I'll say this tho, the 12-60 being sealed is a better value add than the average kit lens, and all three of Pana's kit lenses are more attractive than any of Oly's low end kit lenses (abs Oly seemingly seems to be charging $200 extra for them lately rather than $100-150). The GX9 is simply priced, named, and positioned for people new to the system... For existing users it's gonna be far less attractive for a number of reasons, tho the improvement in long exposure performance/capabilities is rarely noted in reviews. Before this you would've needed to go up to a G9/GH to get a Pana body with a decently long bulb mode, that had been a weakness of their 16MP sensor. It's not something new buyers will typically care about at all but at least it's something for existing M4/3 users. @ impulses , I only gave the price it sells new at in B&H the only USA store I know. It is still a half decent weather resistant kit lens. As a GX8 fan hoping that the GX9 would have been a GX8 update , which given the name was not au unreasonable expectation , alas I was to say the least disappointed . Bar one or two issue for me the GX8 is a near perfect camera. That will never happen. The GX10 will be step forward in some areas and step back in others. Or they'll just skip ahead to the GX15... The GX line is nothing if not inconsistent, always has been and will likely continue to be. Nice little camera but if I were going for something like this I’d prefer the PEN-F.
Well it depends. The af on the penf for action is really bad. If you dont shoot that, it is a very nice cam it seems. The Pen F is a lot more expensive. Far from the optimal tool for action photography, but the AF system is considerably better than any of the cdaf Olympus bodies. I'd say differences in SAF are relatively small but the Panasonic just feels a little faster and more sure. Using CAF or tracking the GX9 is way better than any cdaf only Olympus camera. Again, not trying to say it's the best tool for action photography. Just more competent than the Pen-F.
Good luck using that fully articulated screen for street photography. Now if Panasonic was smart, they'd copy what Fujifilm has done with the X-T2's flip screen. Perfect for Street. Yeah, I wouldn't dispute that the GX9 is better than the Pen F for C-AF. I still wouldn't choose either of them if I knew I would be shooting action though, and the EVF of the GX9 is most likely worse for following action than that of the Pen F.
C af for me is completely unimportant on these kind of cameras. On the street I mostly shoot in hyperfocal. The good thing about the fully articulated screen on Olympus cameras is that it can be kept folded against the body, which is how it stays 90% of time for me. The GX9 is not only better than PENF at C-AF but also S-AF. It can also focus into lower light than the PenF. Most importantly- the focus options and usability of them trounce the PenF's option and the UI usability is also better along with responsiveness. The PenF in my eyes still has the better JPEG engine, and IBIS is a notch better as the CIPA stats would suggest (5 stops vs 4 stops) but the PenF does not respond as nimble or fast as the GX9. Nice OLED EVF on PenF though. The PEN-F must have some weird processing power issues, touch AF and the UI in general feels every bit as responsive on my E-M5 II as on recent Pana bodies, I never really wait on either... I do think Pana lapped Oly as far as the usability of eye detect, and they've long had the best implementation of touchpad AF while using the EVF (this isn't new, the G6 could already do that well). Oly used to be kind of the same but the E-M10 III & E-PL9 took a turn for the worse if you're an enthusiast IMO, in an effort to (over) simply menus they've stripped certain features and customization away, which is a turn off IMO. The GX8 and GX85 feature CDAF with DFD and no hybrid AF. Yup, sorry about that. I've corrected it.